How do you enjoy Autumn? Some harvest events? Seeing the autumn leaves on streets? 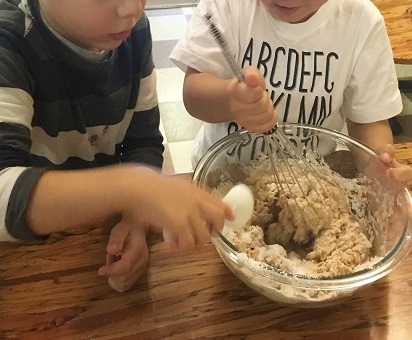 There are a lot of nature things around us we can play with in the season! 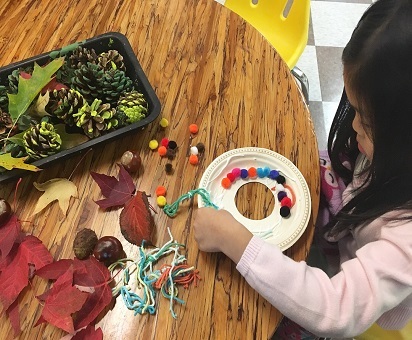 We have been enjoying exploring and finding the special gifts as pinecones, chestnuts, and the gold and ruby colored leaves from the earth. 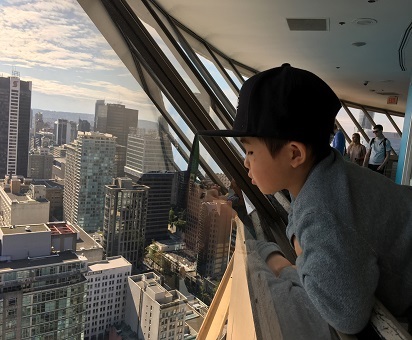 One day, we traveled to Vancouver Lookout to see the beautiful autumn view! "Look at the sea bus leaving!" We tried to see the autumn leaves and trees in the city from there, but it was too far ( and too high!) to see the view! 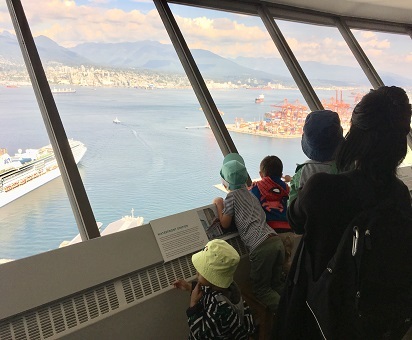 Even though, we could see the mountains around Vancouver. It was so much fun! The other day, I introduced about Beeswax, where does it come from, and how we can use it. 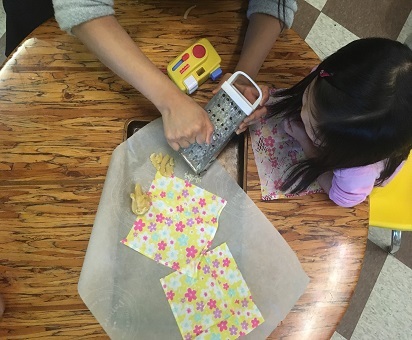 And we created the homemade beeswax reusable wrap! 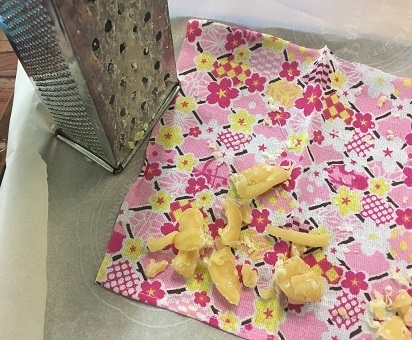 Cut a fabric as big as the kids like, grated the leftover 100% beeswax candle with a cheese grater on the fabric. "It's getting sticky! Yuck!" A kid said. "Yes, that's because of temperature. If it's getting warm, it will melt!" They were interested in them, touched, and smelled them. " Smell is good!" And put them in the oven till the beeswax are melted. 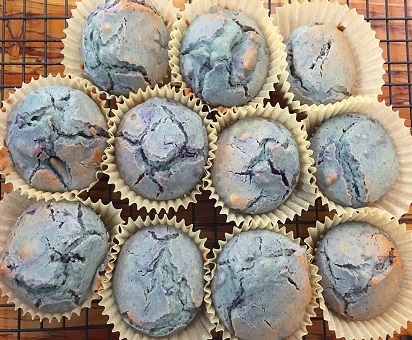 (Preheat oven to 185F. This is the key! Higher will burn the wax!) That's it. It was not the end! 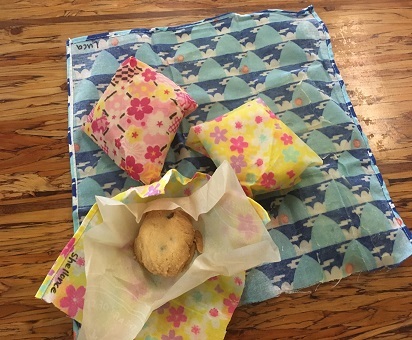 We also baked some cookies and wrapped them with the homemade wrap we made. I explained how to use them, and the reason why it will help our environment. Sometimes, creating or getting new things could make new waste. But if we could create reusable products, that could reduce garbages itself. That's great, isn't it? That was my intention through this activities. Early October, we did a craft to make a wreath for Thanksgiving weekend. 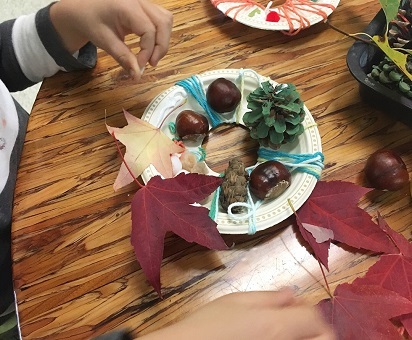 It is a nature class, so we used pinecones, chestnuts, and some leaves. Put them on the doughnuts shaped paper plates. And I told the children how we can play and enjoy with the natural materials. I also read "I am thankful" book, and asked them "What are you thankful for?" Then, we discussed about it. What were you thankful for during the Thanksgiving weekend? I have been thankful for everyone around me in my life who support me. Enjoy this Awesome Autumn together!